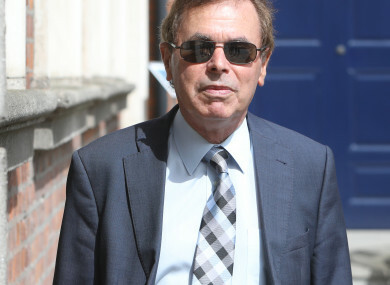 Former Justice Minister Alan Shatter. THE SUPREME COURT has rejected an appeal by a senior barrister in relation to a decision to uphold a challenge by former Justice Minister Alan Shatter in relation to the handling of complaints by Garda whistleblower Maurice McCabe. The Supreme Court today rejected an appeal by Sean Guerin SC against a Court of Appeal decision relating to a case taken by Shatter. The case taken by Shatter regarded a report compiled by the barrister which looked into the handling of complaints by McCabe. The Guerin report was published in 2014 and focused on Shatter’s handling of complaints made by McCabe. McCabe had raised issues relating to garda operations in the Cavan/Monaghan division. Shatter resigned in the wake of the report’s findings, but maintained that he had not acted wrongly in the affair. In May 2016, Shatter was cleared of wrongdoing in his handling of garda corruption allegations by the O’Higgins Commission. He won his appeal to challenge the Guerin report in November of that year and in 2017 the Court of Appeal found in favour of Shatter. The court found that the “seriously damaging” conclusions of the Guerin report were reached “in breach of fair procedures”. Sean Guerin then appealed this decision to the Supreme Court, with the court ruling on the appeal today. Judgements were issued by Mr Justice Donal O’Donnell, Mr Justice Peter Charleton and Mr Justice William McKechnie. The Supreme Court rejected the appeal from Guerin, but found in favour of Shatter on a different basis than the Court of Appeal. The Supreme Court found instead that a number of conclusions reached in the Guerin report were outside of its terms of reference. In the last page of his judgement, Mr Justice O’Donnell agreed with the Court of Appeal that he was “far from being critical” of the conduct of Guerin. He said that the timescale for Guerin to carry out the report was short, and that the source of the difficulty “can be traced to ambiguity in the nature of the role which the respondent [Guerin] was asked to perform”. O’Donnell also said that the difficulty around compiling the report was made worse by “a surprising lack of communication within the Department of Justice”. “Nevertheless, I have come to the conclusion that the applicant [Shatter] is entitled to complain about the outcome of the report as it affected him,” O’Donnell said. O’Donnell ruled that certain conclusion were outside of the scope of the report and were not subject to any representations by Shatter. “The conclusions expressed, and the impressions thereby created were damaging to the reputation of the applicant,” O’Donnell said. Even then, if they had been preceded by an invitation to the applicant to express his views, I do not think it would have been appropriate to grant any relief. Email “Supreme Court rejects appeal against Alan Shatter's successful challenge to Guerin report”. Feedback on “Supreme Court rejects appeal against Alan Shatter's successful challenge to Guerin report”.